“Save The Bay” is a mantra we all know living on the Chesapeake. To an individual, the idea of saving something as huge and complex as the Chesapeake Bay may seem daunting. There’s one easy thing we can all do to make an immediate difference for the health of the Bay, and that’s picking up trash. Here are a few programs you can participate in and help clean the Bay this Spring. Spring is a time for getting outside, getting on the water, and celebrating Earth Day (April 22). 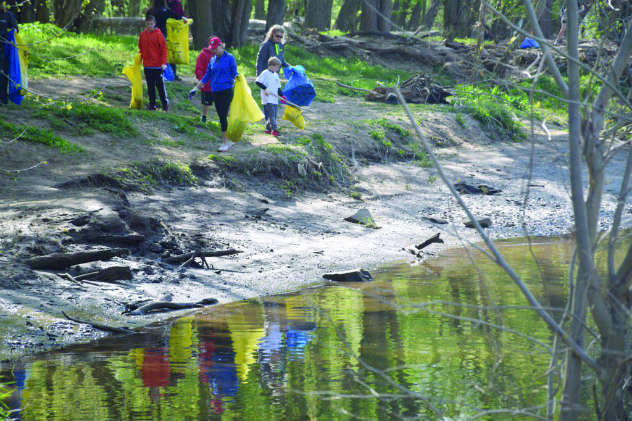 It’s also a time when local organizations sponsor community trash clean up days. 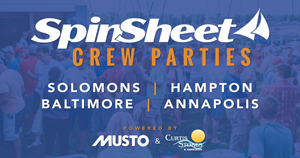 Project Clean Stream is sponsored by the Alliance for the Chesapeake Bay. The popular program runs year round, with local groups signing up for a location and a day to do a clean up. Streams, creeks, rivers, beaches, and parks in all six states that make up the Chesapeake Bay watershed plus Washington, DC, are involved. The Alliance website has a place to sign up, where folks can suggest locations in need of cleaning or sign on to an existing clean up event. Aside from coordinating the trash clean ups year round, the Alliance trains site captains and provides supplies such as trash bags and gloves. 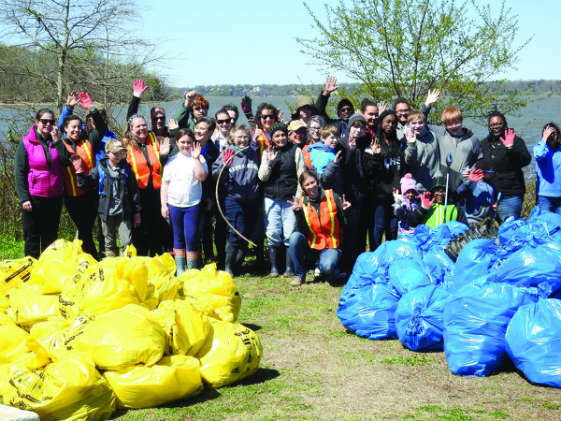 They are kicking off the spring season with an “All Hands On Deck” day when thousands of volunteers in every corner of the Chesapeake will be picking up debris on the same day, April 6. Their goal for 2019 is to pick up and remove 3.5 million pounds of trash. One of the longest running clean up days is the Chesapeake Bay Foundation’s Clean The Bay Day. 2019 will mark the 31st year that volunteers will take to the rivers, streams, and beaches of the Chesapeake Bay watershed in Virginia. It’s always held the first Saturday in June. According to CBF, the annual event has gathered 158,000 volunteers over 30 years. In that time 6.63 million pounds of debris have been removed from 7734 miles of shoreline. In a single clean up session of just three hours, volunteers picked up 134,000 pounds of debris. CBF says the biggest trash problem is plastics. Plastic bottles and bags are something we use up too quickly and don’t pay attention to where they end up. Careless humans are one thing, but sometimes the wind takes our trash and spreads it out of recycling and garbage bins and into the water. Cigarette butts are still a big problem, too. And there are always surprises lurking from leather jackets, to gumball machines, to parking tickets, and of course some kitchen sinks. It’s not just people power cleaning up the Bay. Trash traps, such as Mr. Trash Wheel in Baltimore’s Inner Harbor, are chugging along, gulping up debris from the water. The trash wheels use solar and hydro power to funnel in water and lift out the debris. The trash travels on a conveyor belt into the floating dumpster, which eventually gets properly disposed of on land. 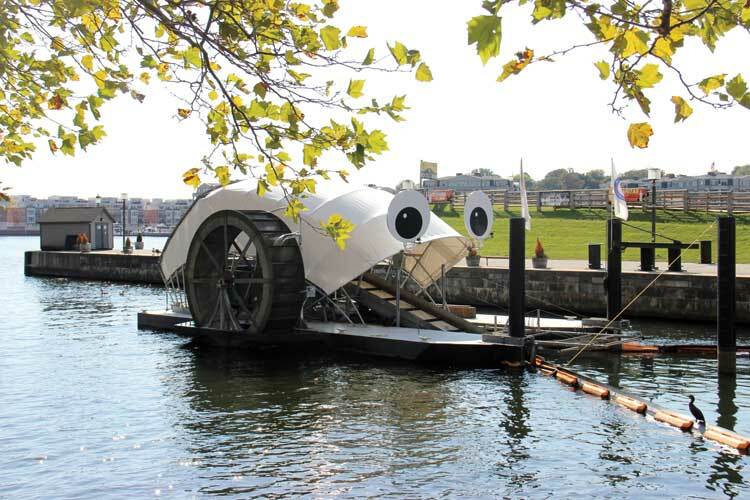 According to the website, Mr. Trash Wheel has collected 1119 tons of debris from the waters of the Bay. Most of the rubbish consists of bottles, bags, and cigarette butts; however, they claim to have picked up more than 3000 sports balls, a keg, a guitar, and a ball python. Volunteers and technology are a powerful force in keeping the Bay clean, but it’s not just the big numbers and group clean ups that make a difference. The biggest heroes on the Chesapeake can be you, the boaters who use these waters all year. While it’s not easy to reach down from the freeboard of a typical cruising sailboat, you can still do your part. Practice man overboard drills on floating debris. Use your boat hook to grab plastic bags floating on the surface. 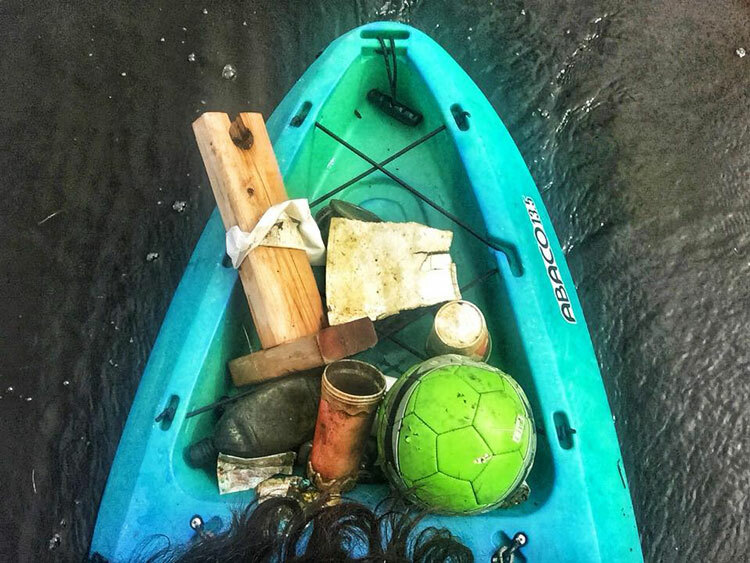 And definitely go out of your way to scoop up trash when out enjoying smaller boats such as kayaks, small sailboats, standup paddleboards, and dinghies. My daughter and I kayak nearly everyday when the weather is nice. 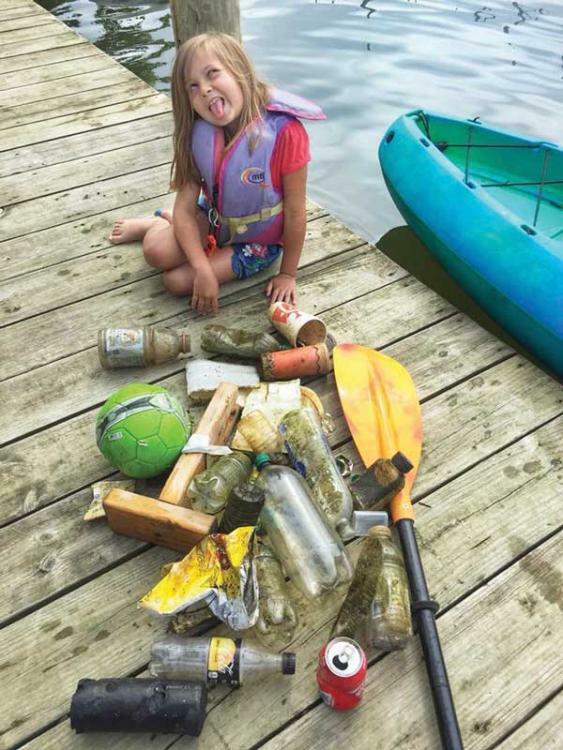 At around age six, she started demanding that I paddle to every piece of trash we see, and she scoops it up with her little hands and makes a careful pile in the kayak. We often take pictures of the trash we find, and then dispose of it properly. Even though the piles can be large in the springtime, she likes that by late summer and early fall, we barely see any debris in our home waters on Back Creek. She may be one small person, but she feels a sense of accomplishment in seeing her “pick up” get smaller and smaller, and her home waters get cleaner and cleaner as we do our part to save the Bay. To sign up for Project Clean Stream or All Hands on Deck Day click here. To learn more about Chesapeake Bay Foundation’s Clean The Bay Day click here. Article by Cindy Wallach published in April SpinSheet 2019.